Unlike obtaining many visas, the Indians don’t have to go to an embassy or consulate to apply for a visa for Vietnam. Though Vietnam embassy actually processes the visas, the Indian citizens can interact with travel agents to get visa approval letter which sufficient to board the plane and get physical Vietnam visa for Indians on arrival. Vietnam visa approval can be used only at the airport. Therefore, the Indians must visit Vietnam by plane to be eligible for visa on arrival. All Indian visitors crossing border into Vietnam are required to obtain the visa at embassy or consulate before arriving at border. · Complete visa application form online: fill in your full name, passport number, date of birth, nationality, travel date (intended date is acceptable), select type of visa, and processing time. · Pay visa processing fee using credit or debit card. Otherwise, you can send money via Western Union or use bank transfer. Read payment guidelines. After submitting the application form and payment, you check your email to read our confirmation email. If you do not receive the email, there is possibility that you provided us the wrong email address or the email was sent directly to spam folder. Processing time: it normally takes 2 business days (including Saturday and Sunday) to issue the visa approval. You can get the letter earlier if selecting urgent Vietnam visa service. The approval letter is usually sent via email along with an entry-exit form, another document required for on arrival process. Once you received the letter, check it for accuracy and contact us as soon as possible if you catch a mistake. · Stamping fee (in cash, USD or VND): $45 for 01 month and 03 month single entry visa, $65 for 01 month multiple visa, $95 for 03 month multiple visa. Then you can sit and wait for your name to be called. After receiving the passport back, you check the information on visa stamp carefully to make sure that there is no error on it. The stamping process may take 15 minutes or longer if there are long queue of people doing on-arrival process at the same time. If you wish to pick up Vietnam visa on arrival within a few minutes, we are willing to provide you stamping assistance priced $22/person. All of the above is information about on arrival Vietnam visa for Indian passport holders. If you want to read instructions to get Vietnam visa for Indians at embassy or consulate, please refer to this page. What is the best way for Indian passport holders to get visa to Vietnam? How to get Vietnam visa on arrival in India? 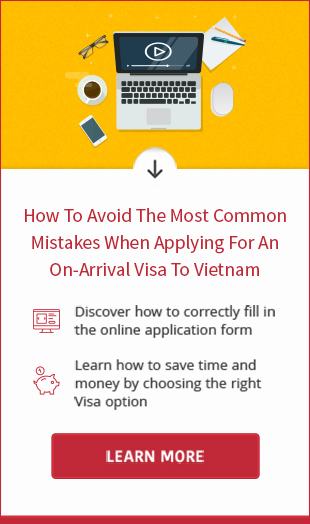 Visit Vietnamvisa-easy.com to know the answer. What is the best site to get visa on arrival from India? What requirements for Indian citizens to apply for Vietnam visa on arrival? Meet us now. Is Vietnam visa on arrival applicable for Indian citizens? What is better for Indian passport holders? Visa online or visa embassy? Check it right now. Click on here to read helpful advice and important information about how to get Vietnam visa for Indians living in Dubai. Read the directions on how to get Vietnam visa for Indian passport holders in Singapore. 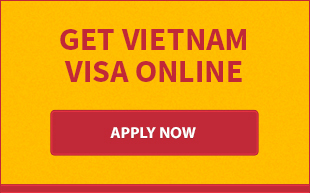 Best Vietnam visa for Indians must be cheap, quick and easy to obtain. Enter here to consult instructions on how to get an easy Vietnam visa for Indian passport holders. What is the most popular Vietnam visa for Indians in 2014? How to submit Vietnam visa application form of visa on arrival? Go to the answer now. This article introduces you information on getting Vietnam tourist visa for Indians at the arrival airport in 2014. Read now. You want a Vietnam business visa? In this post, we will introduce the steps to apply for business visa for Indians so that your whole visa application process can be quick and smooth. What requested information in application form of Vietnam visa for Indians? Read the post to know how to fill out visa application form correctly.